This is the big one for 2014. 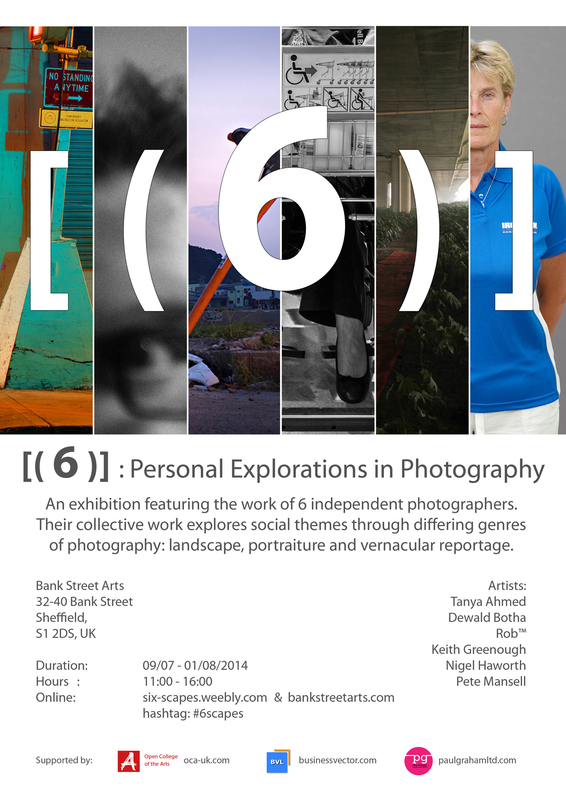 I am teaming up with 5 photographers and together we will be taking over the ground floor, 5 galleries, of Bank Street Arts in Sheffield, UK. Between us we will be showing 10 bodies of work. 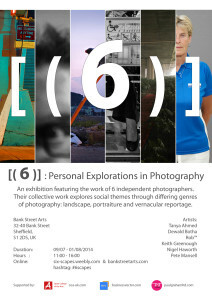 The private view is on July 9th, 1730 – 2000 by invite only but I will happily guarantee you a personal invitation if you would like to attend. Just let me know.